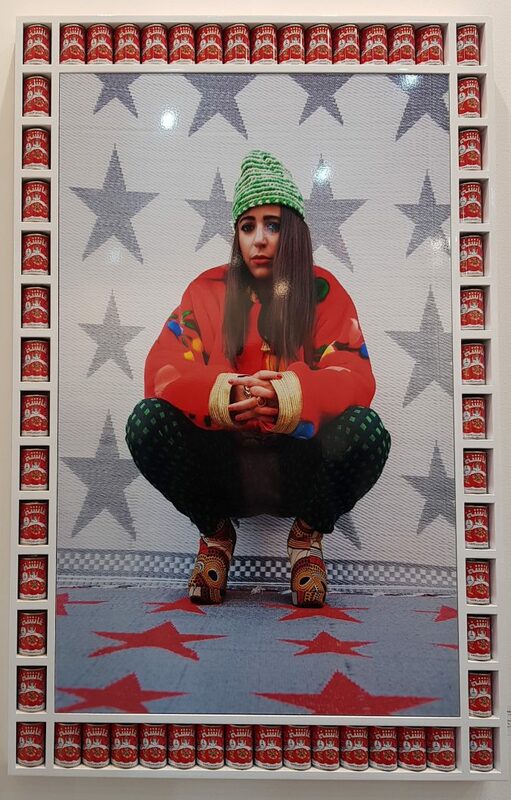 Hassan Hajjaj, Yadi (2013) displayed at Indian Art Fair. 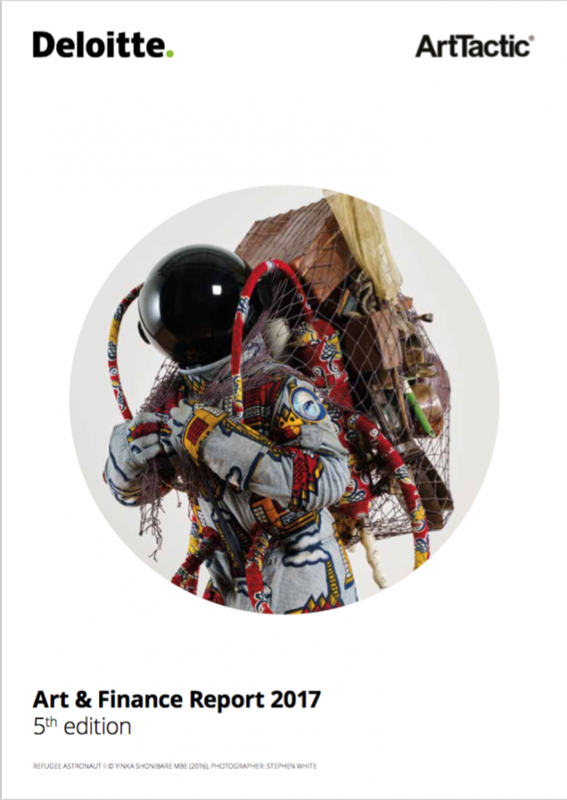 The work is a metallic lambda print on dibond with wood and tomato tins. Photograph courtesy of Mansi Singh. 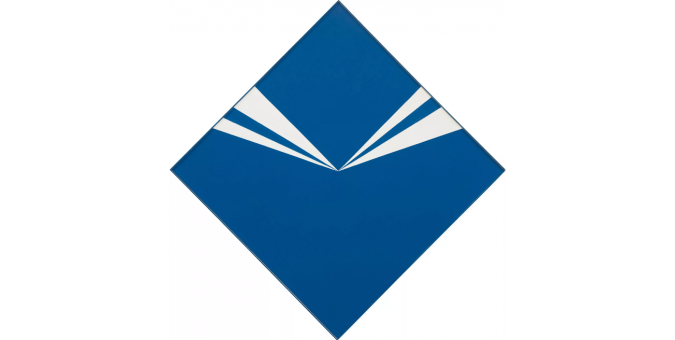 “Cerulean” (1965) by Carmen Herrera was sold by Phillips in their 20th Century and Contemporary Evening Sale in New York on 16 November of last year. Photo courtesy of Phillips. 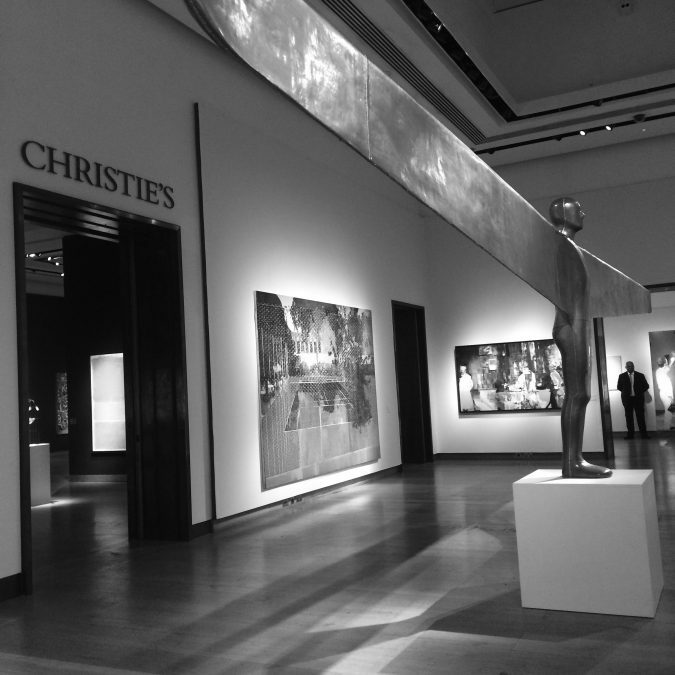 Antony Gormley’s “A Case for An Angel I” (1989) on display at Christie’s showrooms in London before a Post-War and Contemporary Sale. 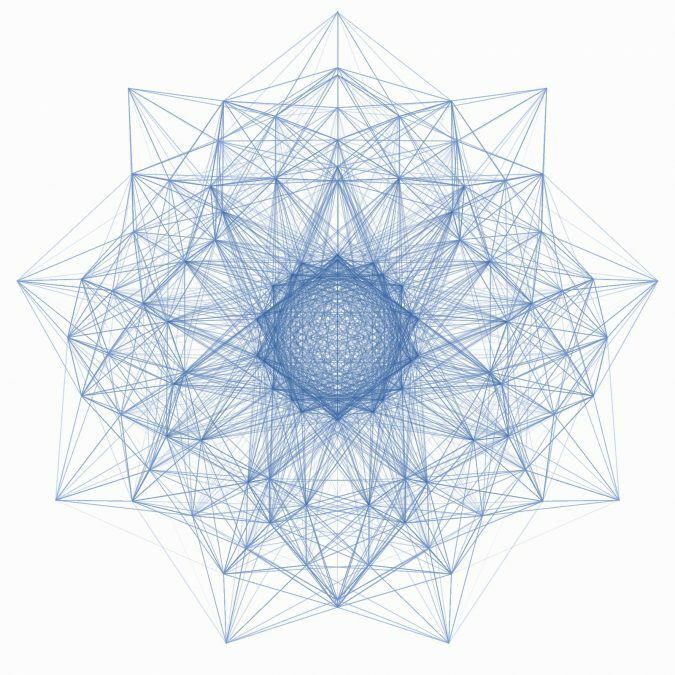 Image taken from Deloitte and ArtTactic’s Art and Finance Report, 2017. Courtesy of Deloitte. 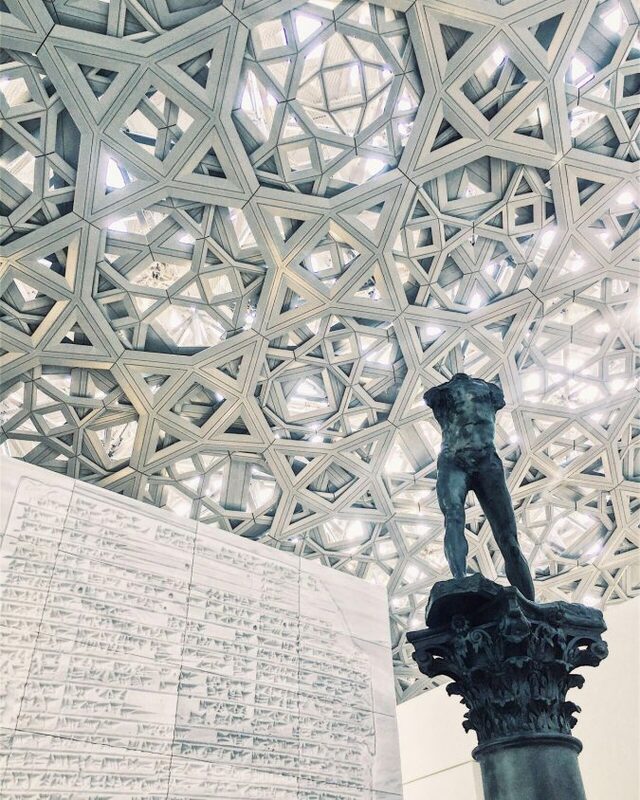 Soft Power: A New Saviour of the Art World? Christie’s presents “Salvator Mundi” at the Post-War and Contemporary Auction in New York on 15 November 2017. Photo courtesy of the New York Times. 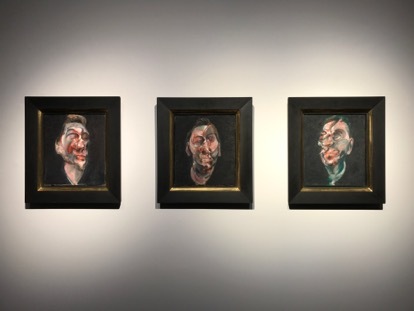 Three Studies of George Dyer (1966) by Francis Bacon. 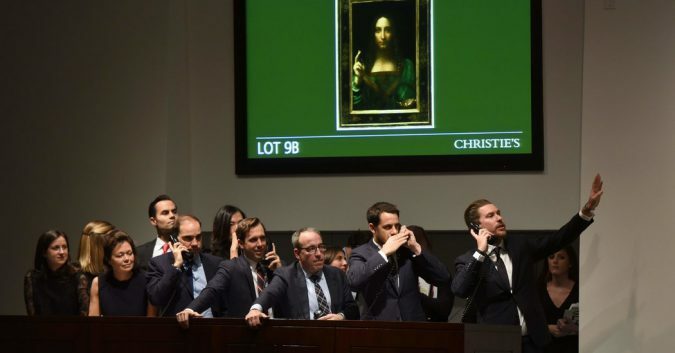 Courtesy of Sotheby’s. 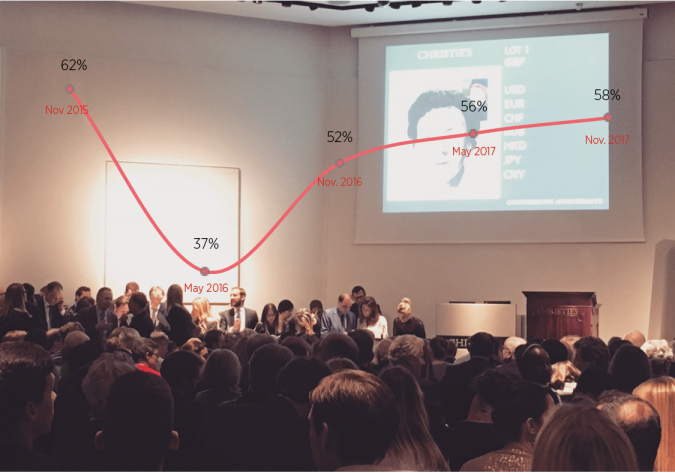 The graph shows the percentage of Guarantees by Value in Post-War & Contemporary Evening Sales in New York for Christie’s, Sotheby’s and Phillips since November 2015.